As the typical Malaysians, most are shy and singing with friends. I am even more shy to participate so ... they are brave enough! Mr. Adrian Lim, the Managing Director of Sony Music Entertainment Malaysia told everyone to have fun and sing out loud! There comes the solo singing contest session. The "Mr. Amerika" did a nice opening before start singing. The most entertaining and most talented performer!! Saluted! How can judges say no to her? 1st place for the solo media category! He won himself RM1000 cash prize! 3rd place for the group category! 2nd place for the solo FANS category! 3rd place for the solo FANS category! 1st place for the solo FANS category! She walked home with also a RM1000 cash prize! 2nd place for the group category! 1st place for the group category! Walking home with also RM1000 cash prize! 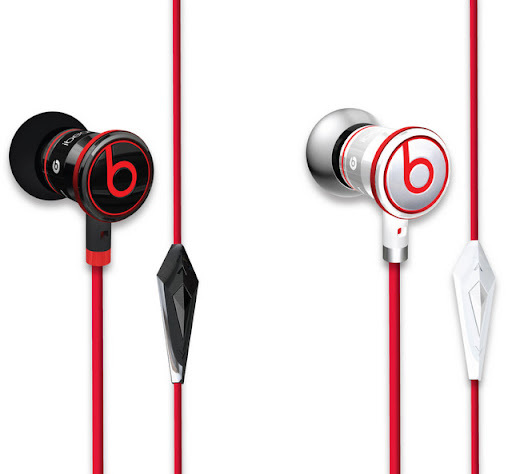 • iBeats™, the newest high performance in-ear headphones from the Beats™ by Dr Dre™ headphone line, makes the breakthrough Beats listening experience more affordable than ever before. • Specially engineered to reproduce high-resolution sound from the iPad™, iPod™, iPhone® and all portable music devices, iBeats™ feature a new sealed in-ear design that literally reduces external noise for a better music experience. • Solid metal iBeats™ construction provides durability and eliminates vibrations for incredibly clear, rock-solid sound. • Ultra lightweight iBeats™ are ideal for exercising and active lifestyles, and Monster’s super-convenient Monster ControlTalk™ headphone cable can be used with iPhone™ and iPod™ for music playback control as well as to take hands-free calls with iPhone® and many smartphones. The Monster iBeats™ will retail at RM510 and is available at EpiCentre, Harvey Norman, IT One Superstore (One Utama Shopping Mall), Rock Corner , Switch, and Technocrats (1Borneo Shopping Mall, Kota Kinabalu). For more photos visit Sony Music Malaysia Fanpage and photos from TianChad Photography @ my fan page.